CHRISTINE MCVIE Presented with the Lifetime Achievement Award at the 2014 Ivor Novello Awards. 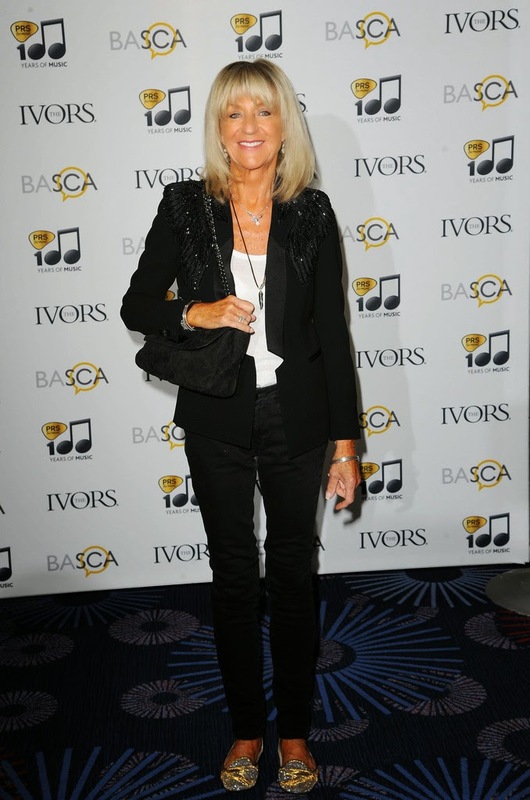 ﻿Christine McVie attended the Ivor Novello Awards at The Grosvenor House Hotel in London - May 22, 2014 where she was presented with the Lifetime Achievement Award by Tim Rice. Also, Christines was interviewed yesterday by Darren Haynes for "The Works" a magazine published by BASCA which presents the Ivor Awards Presentation. You may recall last month submitting questions for Darren to ask Christine regarding her songwriting etc. He said, and I quote "she was absolutely brilliant". The interview should be published next month. Will advise when it's available. Great to hear - well deserved! Can't wait for the interview! Why doesn't someone hold Christines purse like they do for Stevie?